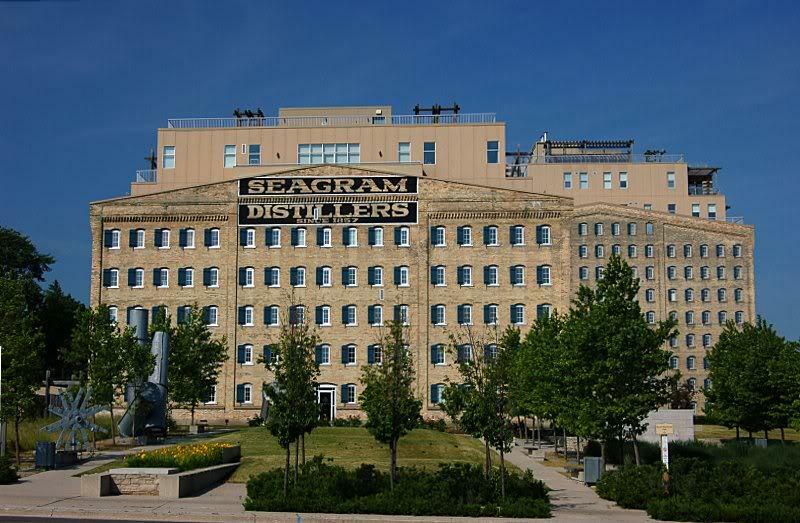 Seagram's (legally named Seagram Company Ltd.) was a large historical corporation headquartered in Montreal, Quebec, Canada, that was the largest distiller of alcoholic beverages in the world. Toward the end of its independent existence it also controlled various entertainment and other business ventures. BEVERAGE TESTING INSTITUTE 90"A nose offering smokey, herbal and honey/maple elements; the Seagram's Seven Crown is a smooth bodied, apricot flavored, buttery delight." "Its taste is scrumptious, deeply fulfilling, tranquil, well balanced, offering an array of distinctive fruity characteristics." Beverage Testing Institute 90" A nose offering smokey, herbal and honey/maple elements; the Seagram's Seven Crown is a smooth bodied, apricot flavored, buttery delight." "Seagram's VO Gold is a blend of individually selected whiskies, none less than eight years old. Made from pedigree grains and the purest Canadian waters." "90 PTS BEVERAGE TESTING INSTITUTE. A nose offering smokey, herbal and honey/maple elements; the Seagram's Seven Crown is a smooth bodied, apricot flavored, buttery delight."